/Planners /Can I change the cover from what is shown on your website? Absolutely! As with all personalized items at PurpleTrail, we let you customize as much as you want. Choose from more than 200 professionally designed covers with artwork in a variety of styles and colors. Each can be customized with your name, organization, project or anything. If you’re feeling artsy you can always upload your own artwork in a .pdf, .ai, or .png file. 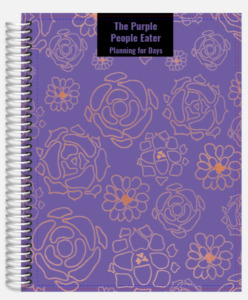 To get started click on the design that best suits your taste on the planner design page and then click the orange “Personalize” button to open the PurpleTrail Design Center. 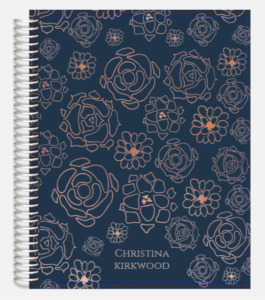 Nearly every aspect of our planner covers are fully customizable, from changing colors, fonts, and backgrounds to adding photos and custom wording. Other articles on this help site will help with the specifics of designing.